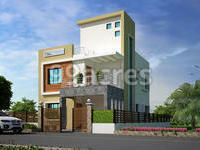 Ajiban Subhadra Villa, located in Bhuneshwar, is a residential development of Ajiban Construction. 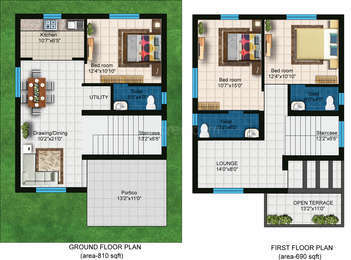 It offers spacious and skillfully designed 3BHK and 4BHK villas. The project is well equipped with all the basic amenities to facilitate the needs of the residents. The site is in close proximity to various civic utilities. What is the location of Ajiban Subhadra Villa?The location of the project is Sundarpada, Bhubaneswar. 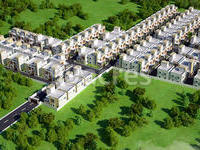 What is the total area of Ajiban Subhadra Villa?The project spans across 4.5 Acres. What is expected possession date of Ajiban Subhadra Villa?The developer plans to handover the project by Dec 2019. Does Ajiban Subhadra Villa have cricket pitch? The project doesn't offer a cricket pitch. Does Ajiban Subhadra Villa have skating rink? There is no skating rink in the project. Which banks are providing loan facility for Ajiban Subhadra Villa? Canara Bank, Allahabad Bank and 1 more provide loans for this project.